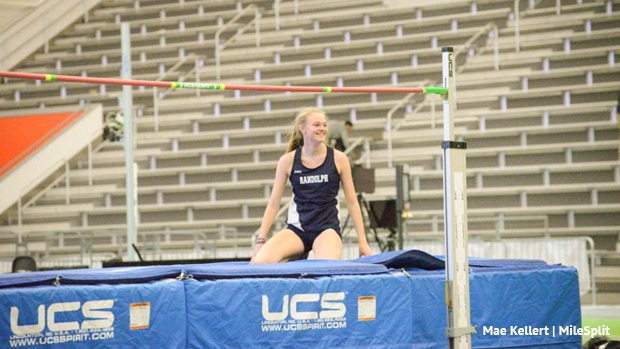 Meghan O'Malley turned in a sparkling quad to lead Randolph to the girls title, Morris Hills captured the boys title, and the Mendham boys ran two NJ#1 times at Saturday's Summit Relays at Investors Bank Field. O'Malley, a senior, dropped a 59.4 anchor leg to bring her team across first in the 4x400 in 4:08.76, split 14.3 on the winning shuttle hurdles (1:07.96), and had the top performances of the meet in both the high jump (5-4) and long jump (16-11). Led by O'Malley, Randolph edged runner-up Scotch Plains, 40-36. Ridge was third with 35 in the right competition that featured 10 teams scoring at least 20 points. Also in the girls competition, Ridge won the DMR in a NJ#1 12:26.16. On the boys side, Morris Hills defeated arch-rival Randolph, 69-58, and Mendham sparkled in the 4x800 and DMR. Morris Hills used its balance and depth to capture the team title. In the field, the Scarlet Knights won the shot put, led by Angel Gonzalez Marquez meet best 48-5 3/4), finished first in the javelin as Robert Chappell launched a meet-best 164-4, and received a 137-10 in the discus from Jared Redington. The boys 4x800 produced the three fastest times in the state so far this season as Mendham placed first in 8:05.56, Morris Hills was second in 8:09.04, and Summit was third in 8:09.21. Mendham also won the boys DMR in a NJ#1 10:34.21.